Hi Lovelies! Sorry, it's been wayyyyyy too long since my last update! Things have been exciting since announcing my engagement! A lot of people back home have been kind of curious about the marriage process in Korea, so I thought I'd write a little series of posts about wedding planning in Seoul. 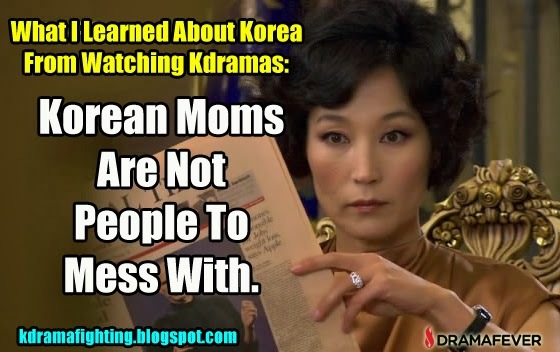 The first one is advice for meeting your Korean bf's parents! Not as scary as you think, I promise! This was my worst fear. Well, maybe a little scary lol. I was terrified they'd think I'm messy or immature or totally impossible to relate to as a foreigner. It was great though! Read on for some tips for meeting the parents for the first time. LF and I got engaged earlier this year, but the wedding planning process is long for us. It's funny--many Korean couples only take a few months to get engaged and plan their entire weddings! We're planning two weddings however, on here and one in the States, so coordinating that means we needed about a year to plan. I'll get into the details of the process later: choosing a wedding planner, venue, gifts, hanbok, etc. The first step is meeting his parents if you haven't already! Let's be real: your SO probably wouldn't be proposing if you haven't already met his folks. Korean men tend to take their parents' opinions of you into account even more than Western men and that goes double if he was raised in a conservative family. LF's parents are very conservative and hold a lot of old Korean values, so I was quite nervous. My confidence was minimally bolstered by the fact that his parents had known about me for about a year and didn't seem to take issue with him dating foreigner. 1) Clothing: Modesty should trump fashion in this case, but if you can find something both cute and toned down all the better. You basically want to look put together but not overdone. I recommend a dress or skirt and blouse--not too short, not showing any cleavage. Avoid sleeveless tops, high heels, and too many accessories. Pantyhose or tights help you look more conservative and sensitive to Korean fashion standards. You don't have to dress for a job interview, but look nice and demure. This is the dress I wore--simple and sweet. 2) Makeup: As you probably expected, less is more. Think fresh faced and natural! If you're not sure, check out some of the No-Makeup makeup tutorials online for how to achieve an enhanced but natural look. Some BB, CC cream, or light cushion foundation with concealer as needed, light wash of eyeshadow, mascara, touch of blush and barely there lip color. I recommend skipping eyeliner too if you can as it makes your face look "stronger." If you can't skip, maybe just tightline it. 3) Hair: Not as strict, but try to keep a conservative style that stays out of your face. If you have a really unnatural color, you might want to tone it down the first couple meetings. 1) Bring a gift--this is nonnegotiable.You probably know it's custom in Korea to bring a gift when you go to someone's home the first time. This is, of course, a very personal choice, but the usual suspects are food, flowers, small gifts for the home, etc. I think seasonal foods are a great choice! When you meet your SO's parents the first time, it will probably not be in their home however. Most couples these days do the first meeting at a restaurant or something. We met at one of those multiple course Korean restaurants, as many couples do. It was good! You can show off your ability to eat and enjoy Korean food and talk about the different dishes. There was another couple there in the same boat, so I felt some solidarity with the guy being introduced to his gf's folks. Anyway, we met in fall, so I made a persimmon spice cake topped with candied walnuts to bring a bit of autumn flavor to the afternoon. If you have no talent in baking, don't sweat! There are plenty of bakeries selling gorgeous seasonal cakes and breads. Don't go with anything too fancy or frilly, though (no birthday cakes or overly sweet confections). If you bake it yourself, try fashioning a cake box with the gift boxes and ribbon available at stationary stores (or Daiso haha). The next meeting, I had dinner at their home and brought a potted flowering jasmine plant (he said his mom has tons of plants on their balcony) and a big box of...I think pears? Hard to remember haha. Pretty, right? I heard they ate the whole thing in one sitting haha. 1) Caffiene up! We met his parents for lunch on a Saturday and we're still groggy the night before, so we waited in a cafe by the restaurant. You definitely don't want to look tired, but cheerful and bright eyed. Get that coffee! 2) Know as much Korean as possible. Even just greetings and basic phrases are better than nothing! This might go without saying, but being able to converse in Korean on a basic level made things go soooooo much more smoothly. They'll probably be both impressed and relieved, and either way it shows you're making an effort to understand their culture. 3) Familiarize yourself with Korean dining customs. Insist they eat first, be helpful by setting out utensils and pouring drinks. Eat everything they put on your plate (Korean moms like to make you eat haha). 5) Expect to stay a while. After lunch, his parents treated us to coffee at a cafe in Olympic Park and we walked around. There was a festival, so his Mom bought us ddeok and took a lot of pictures. The whole thing took about 4 hours. 6) Be prepared to answer personal questions, including the infamous "why do you love my son/daughter" question from every drama. They might also discuss your appearance, so just be ready. Overall, it was a great experience meeting LF's parents! We were all a little awkward and shy, but they warmed up to me pretty quickly. I thought they were very kind and felt relieved they seemed to accept me for their son. I've met them a number of times since, but I was really happy outer initial meeting went well given the horror stories I've heard from other couples.